However, coral reefs worldwide face an uncertain future, with many reefs reportedly transitioning from being dominated by corals, to being dominated by macroalgae. This transition threatens all of those who depend on healthy coral ecosystems around the world. This new research, which I contributed to, reveals that we may have more opportunities to save corals than previously thought. The new study, published in Scientific Reports and developed by a number of leading research organizations, including the University of California Santa Barbara, the National Center for Ecological Analysis and Synthesis and EDF, builds on what is already known about coral reefs, and how they work, based on decades of existing research. Insights from past studies such as how reductions in fish population can affect the basic processes that keep coral reefs healthy, and how managing fisheries is crucial for maintaining healthy coral reef communities, helped inform this new study, and further scientists’ collective understanding of coral reefs. Previous approaches to managing coral health were limited to identifying coral reefs as either being healthy, bleached or dead. Imagine doctors being as limited in their ability to diagnose our illnesses. 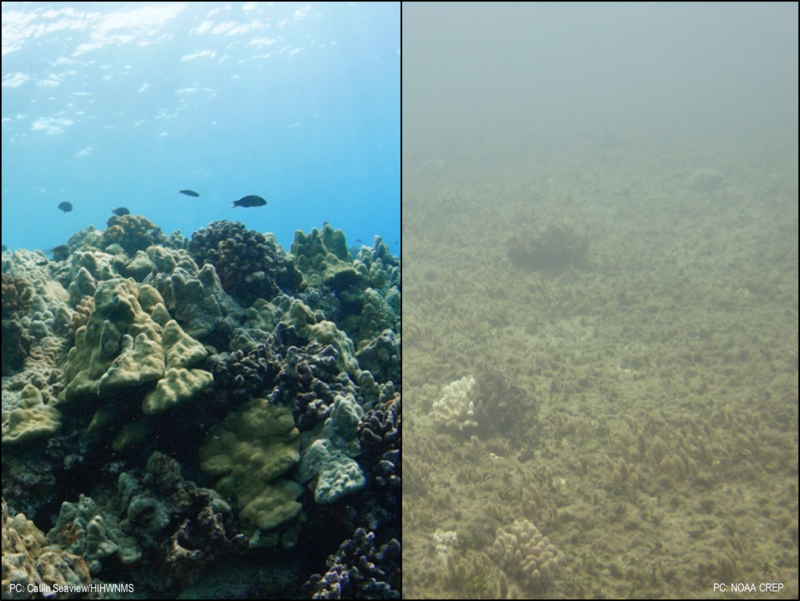 This study provides a complete picture of all the phases that coral reefs could exist in. The researchers identified five unique phases for coral reefs across the Hawaiian Islands where the study took place. These phases ranged from having high coral cover and high fish biomass to having low coral cover and low fish biomass, with scenarios varying in between. These newly identified phases give scientists a better understanding of the health of coral reefs, and can help determine more effective management to aid the recovery of these essential ecosystems. The analysis presented in the study is based on scuba surveys carried out over a large spatial and temporal scale. Divers observed the makeup of the coral reef and the fish present for a total of 3,345 unique sites across the main Hawaiian Islands. By combining fish and coral reef habitat into communities, these five reef phases capture complex dynamics; offering new opportunities to monitor reef change and guiding ecosystem-based management of coral. What’s exciting about this report is that these five phases have the potential to be used by fishery managers and citizen scientists around the world as a tool to understand the coral reefs that support local fisheries. With some simple information, people who care about reefs can understand how to be part of the solution. For example, many citizen scientists groups offer resources to help citizens get involved. This can be in the form of training for species and data collection, or even showing citizens how to use and interpret summary tools like the phases in this study. Collecting data is a powerful way for citizen scientists to get involved, even if they are not the ones analyzing the data they collect. In many cases citizen scientists can give their data to other institutions for analysis. 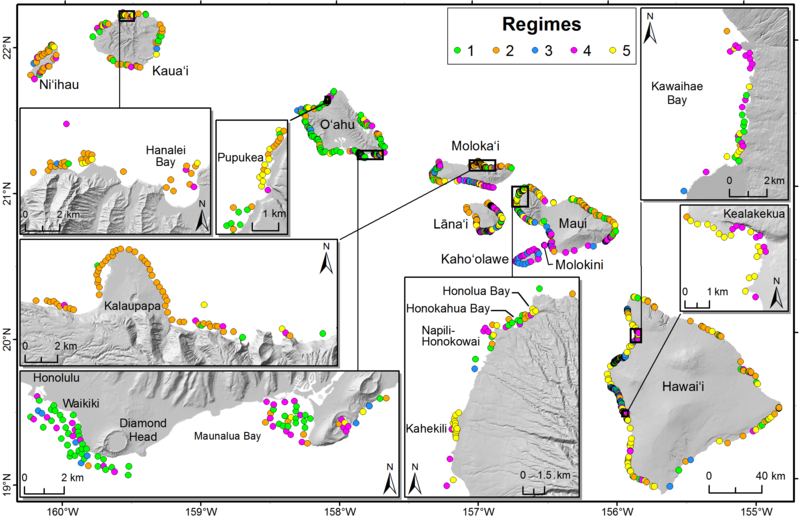 In Hawaii, the data collected by citizen scientists can help classify coral reefs along one of the 5 phases identified in this study. Being involved in the scientific process gives these citizen scientists more information about their coral reef ecosystems, and allows them to be better advocates for their health. We are often confronted with dire news about the state of coral reefs. What’s important to remember is that while an overall pattern of significant losses is clear, not all reefs are declining, and many are in recovery. These tools and phases may be able to help assess the health of the ecosystem and how management can improve recovery, even when data is limited. We know that even small shifts in environmental conditions can bring about large, sometimes abrupt changes, or tipping points, in an ecosystem. With the right guidance, we can identify and avoid abrupt changes to ocean ecosystems that threaten coral reefs. What’s more, even reefs identified as being negatively impacted by issues like bleaching, overfishing and storm impacts can recover. However, for this to happen we need more management, and more participation from informed coral advocates around the globe. Citizen scientists can use studies like this to improve their understanding of the current state of the coral reefs they care about. With these new insights, combined with their own knowledge, they can more effectively advocate for coral management and resiliency. It is our hope that citizen scientists and coral enthusiasts around the world use this study to participate in monitoring coral reef phases anywhere – whether it’s monitoring coral reef communities in their own backyard, or in new areas they are passionate about. Want to get involved? Check out the study and the Ocean Tipping Points project, and get in touch with questions or ideas. Global coral reefs need your help and personal knowledge now more than ever! This entry was posted in Global Fisheries, International, Science/Research and tagged bleaching, citizen science, coral, coral reef, coral reef ecosystems. Bookmark the permalink. Both comments and trackbacks are currently closed.